These "well-groomed" young men make the Stallions proud! 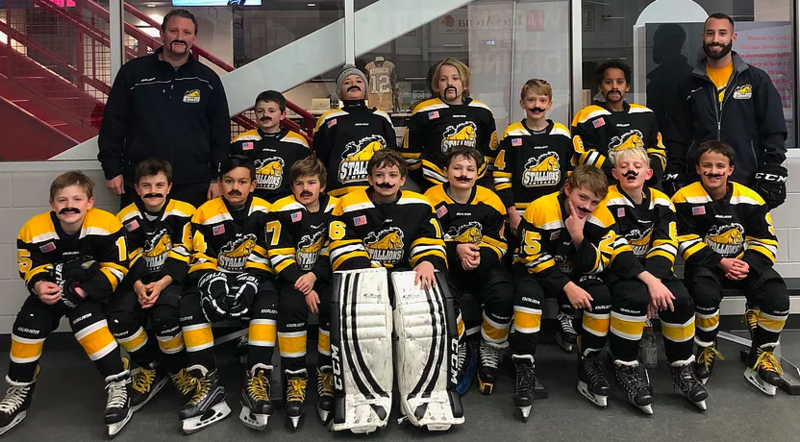 The Squirt 2008 team rocked their muzzys at MB to support Prostate Cancer Awareness month in November. Coach Karim and Gavin worked with our players to help them raise money for men's health. Great job Stallions and coaches on exceeding your fundraising goal and "growing" your mustaches to support men's health!